The Beth Fowler School of Dance has an afternoon full of FUN ACTIVITIES planned for your birthday party and all your friends! Our facility is big enough that you can invite as many friends as you wish. Just Look What We Have Planned For You! Dance Class! Strictly for great fun! Private party for the Birthday Honoree and guests. A Beth Fowler School of Dance instructor will entertain and host. These are private parties. The building will be open only for Party Honoree and guests. The parties include all the above for just $175 for up to 20 people, $10 per person over 20 people. Birthday parties will have the entire building to themselves. The building will open just for the parties. As a party of this nature takes a lot of preparation and time, there is a $175 minimum (not including the pizzas). 4. 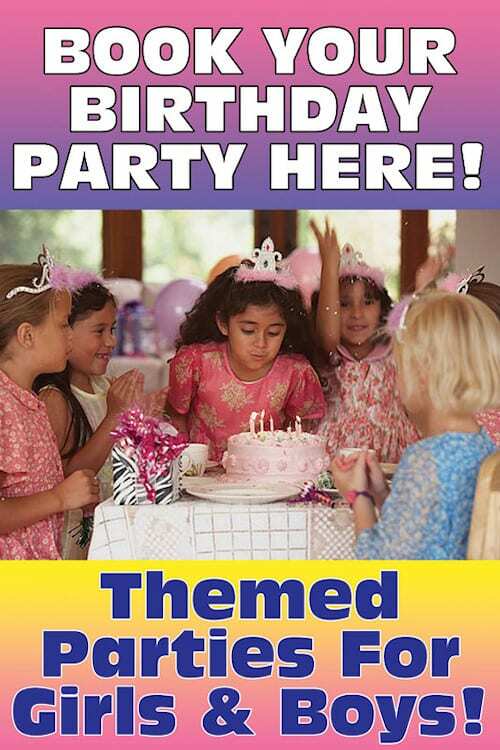 Pick Your Own Party Theme!